DVDFab Movie Server is the ultimate managing and playback solution for your multimedia contents at home. 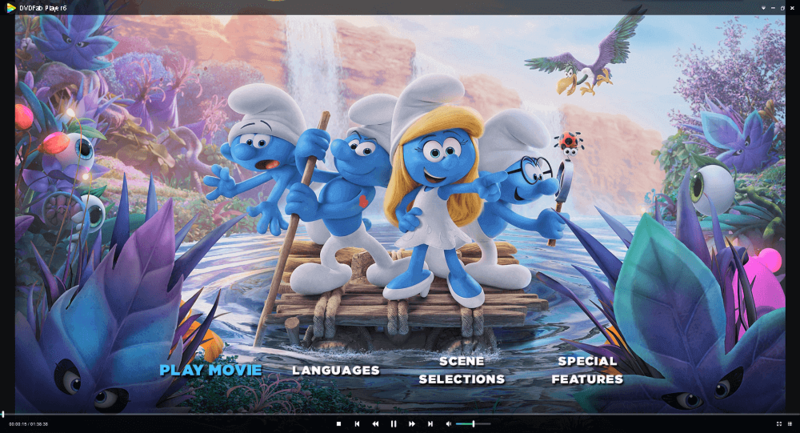 It features native navigation menu support on DVDs, Blu-rays and 4K Ultra HD Blu-rays, all-format high definition audio support, exclusive poster wall, smart media managing and searching, native HDR10 support, and many more. If the Movie Server and the computer running DVDFab 10 are put in the same network, wired or wireless, you can save the DVDFab 10 produced ISO and video files directly to the 3.5 inch SATA HDD attached in the Movie Server. As of now, the supported copy modes include Full Disc, Main Movie and Clone and the all the Ripper modules. To organize and manage the myriad of your media collections, the Movie Server automatically sorts your movies, TV Shows and other videos into different categories and then display them in an exclusive Poster Wall, each poster filled with detailed metadata information, such as the title, genre, director, plot, duration, and release date, etc. Aside from the above-mentioned categories, genres, and Poster Wall, to help you quickly and easily locate your wanted title from a sea of collections, the Movie Server goes even further by offering a dedicated smart filtering and search feature. Simply enter title name of the movie or TV Show, you shall find what you want almost instantly. Menu playback is undoubtedly still a crucial part of a pleasant movie watching experience. In this regards, the Movie Server offers native navigation menu support on DVDs, Blu-rays and 4K Ultra HD Blu-rays. This means, in the transformation process from physical to digital, you do not really have to compromise on anything. 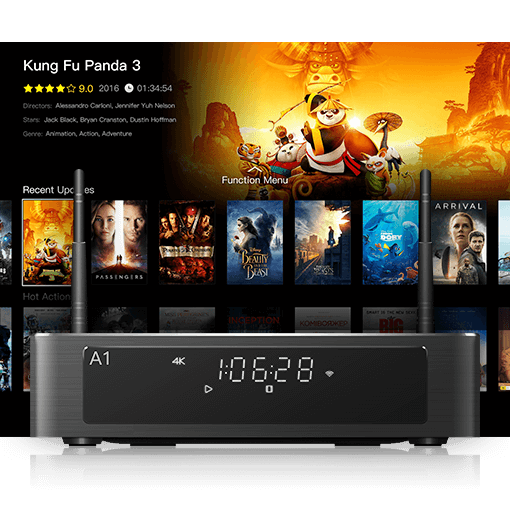 In terms of video support, the Movie Server is capable of handling almost all the known video formats out there, including 3D, H.265 and 4K UHD videos. While in terms of audio, it supports to output lossless Dolby Atmos, Dolby TrueHD, DTS-HD Master and DTS:X audios, etc. Therefore, the best theatre in town is right in front of you at home. For a pleasant movie watching experience, a Remote App (search Google Play or App Store for DVDFab MS Remote, respectively), is designed to control the playback process on the Movie Server. With a simple tap on your smart phone screen, you can pause, fast forward, rewind, switch audios and subtitles, or switch between 2D and 3D mode. Deep beneath the surface of the Movie Server runs a tailored version of Android 5.1, which means, apart from 4K media player, you also have infinite choices on Apps. Playing games, purchasing online, listening to beloved music album, reading news, and downloading necessary toolkits and utilities, etc., as long as there is an app for each. To ensure a maximum performance, the Movie Server ushers in quad-core ARM Cortex-A53 CPU, Mali-T720 GPU, 2GB RAM, 16GB storage, 10/100/1000 Megabit Ethernet port, 802.11 B/G/N 2.4G/5G Wi-Fi adapter with double antenna, Bluetooth 4.0 adapter, two USB ports and one HDMI port, all of which are of military grade quality. Apart from accessing the SAMBA and NFS networked resources, the built-in NSS Patented metallic extraction cabinet allows you to attach any standard 3.5 inch SATA hard drive (not included in the package as an accessory), with up to 8TB of storage. Don’t worry, the extraction cabinet can survive 100,000 times of plugs and unplugs. The nicely inlayed LED display on the front panel, which can be turned off when necessary, shows you accurate information regarding playback status, time remaining, and device connection status, etc. As to the overheating concern, just leave it to the smart cooling fan that features adjustable spinning speed and noise cancelation skill.